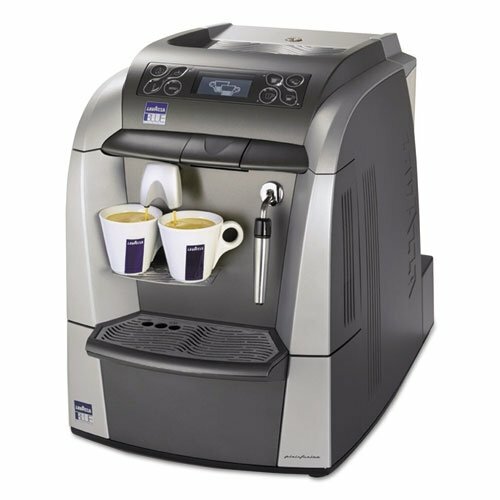 Make your workplace your personal cafe with a Lavazza machine. Make an authentic Italian espresso with the press of a button, right in the comfort of your own office with US Coffee’s selection of Lavazza brewers! Lavazza brewers make the perfect cup of coffee every time with a simplified specialty drink brewing process. 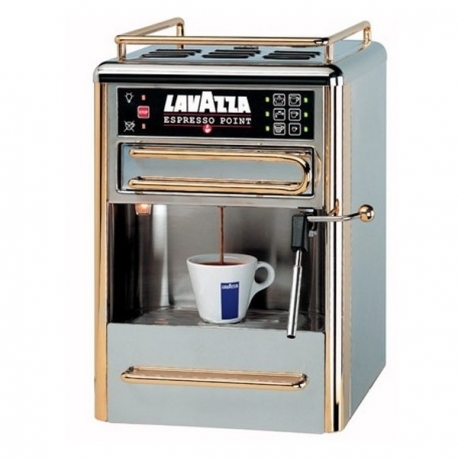 The Lavazza Blue LB 2312 is ideal for small restaurants and cafés, as well as for offices. Pininfarina packed perfection into a small, efficient machine. Equipped with a one-gallon water tank, this machine features pre-programmed one-touch buttons, a double spout for making up to two espressos at a time and a steam and hot water wand. Chrome plated and elegant, this commercial coffee machine makes a perfect cup every time. Designed to simplify the specialty drink brewing process, it’s ideal for offices, restaurants or cafes. It’s the quickest and easiest way to get professional-quality espresso.